Return to the Marina Mandarin Hotel, Singapore for the first time in 5 years. A couple of quiet days in Singapore before heading back to Sydney - most enjoyable! It was also pleasant not to be in "group travel" mode for a couple of days before our return home. 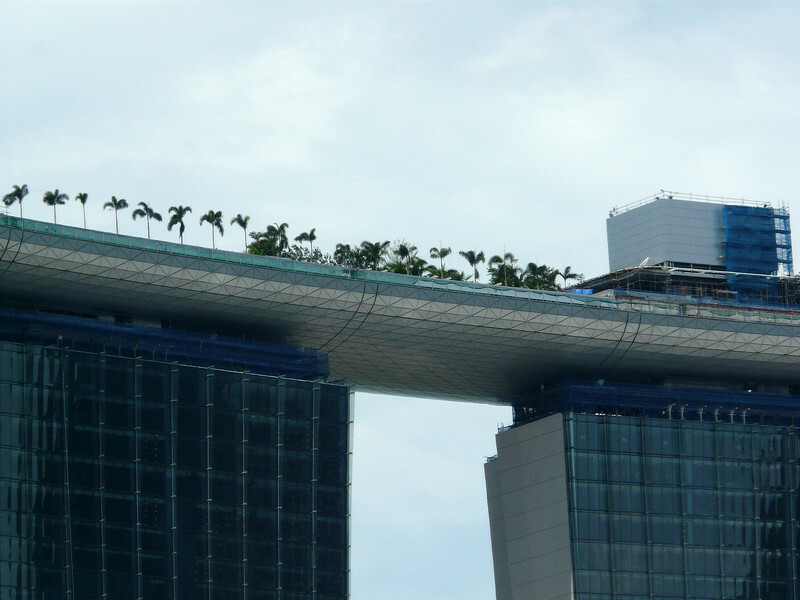 Close up of roof section of Marina Bay Sands Hotel.